New Two Story River Home with all the modern amenities. My Grandfather bought this property in 1966 from the mayor of Daytona Beach. It was two lots with a two bedroom wooden home and a cinder block garage. In 2007 my father demolished the old home and built a beautiful two story river home, it is located 30 miles from Daytona Beach and 90 miles from Orlando. Dual stall covered boat lift for boats or jet skis. A great getaway for peace and quiet. Wet a hook or take a nice tranquil boat ride. The home is strictly a vacation home with never a permanent resident. It is very pristine and still looks brand new. All vacationers have been very impressed, commenting that my amateur photos do not do justice! Service is my main concern, I want to exceed all vacationers expectations! Old house was removed and new vacation house built in 2005. Very impressive new house with all the modern amenities. Beautiful Quiet Tranquil Setting. However, very close to all the action in Daytona or Orlando. 30 miles from Ormond Beach. 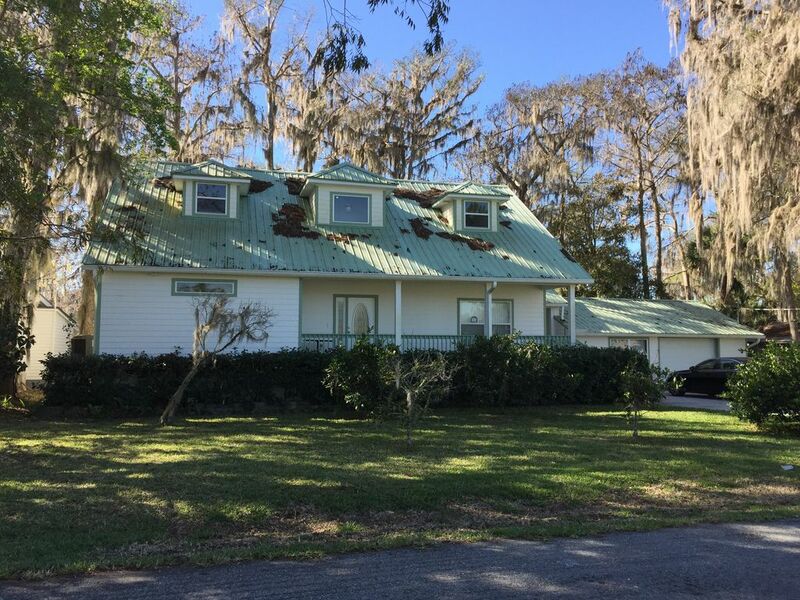 Located on Riverfront of the St. Johns River. WIFI with Access Point to allow WIFI on the dock. The house is a great, clean and very comfortable. Has plenty of room. The dock is very nice. We enjoyed sitting on the dock and watching all the activities. The screened in porch was also a pleasure to have. David was great and went out of his way to answer questions and welcome us. We would definitely rent again. Thanks for the kind response, hope to see you again soon! Very nice, clean and well maintain place. Outdoor area with deck and dock on water is great for relaxing. I stayed in Astor from Feb 12 to Feb 22 the house was in a great location along the river. It had all I need and was well set up. Walked out to the boat slip untie and off I went. Great place. Quiet, clean, spacious. Great kitchen. Well equipped. Beds were large and comfortable. One example, and only one, of how squared away the place was: they had good toilet paper. Enjoyed sitting on the dock. Dave was very communicative and helpful. Had good restaurant recommendations. Highly recommend this place. Thanks for the kind review. Charmin Lol! Hope to see you again soon! Stay here for a perfect vacation!! Amazing, beautiful property!! I can't say enough about the property!! Dave and his wife stopped by to meet us and couldn't have been nicer!! The river, yard, dock, boathouse were such an awesome thing to have access too. We rented a pontoon and were able to dock it at the house while we ran in and made lunch to take with us on the river!! The enclosed porch was amazing and where we had most of our meals. The street was so quiet and private, no barking dogs, no loud neighbors, just peace and quiet!! Thank you Dave for allowing us to experience the St John's river from this piece of paradise!! Thank you for the kind words. Hope to see you again soon!